Our Black Dinner Plates will hold several food items, and are the largest plates that we carry. 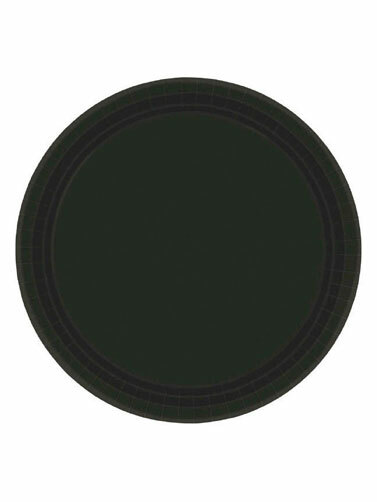 Jet black paper plates will coordinate with a number of Halloween party themes. Black Dinner Plates measure 10.5". 24 ct.